The common critical view of the British Invasion hitmakers known as Herman's Hermits is that they were lightweight popsters whose greatest ability was making teenage girls scream and wet their pants. They weren't as rough as The Stones or as creative as The Beatles blah blah blah. And they didn't even have a cool dance like Freddie & The Dreamers. But I've always respected Herman and the boys, mostly for the important work they did digging up weird old British Music Hall songs to introduce to a new generation. Back in the early days of Throwback Thursday, I did a feature on one of those songs, "Two Lovely Black Eyes," written in 1886 by Charles Coborn. Below are several other old tunes that I never would have known without Herman's Hermits. And one of these was one of Herman's greatest hits, "I'm Henry VIII, I Am." Below is a 1911 version performed by singer/comedian Harry Champion. It was written circa 1910 by Fred Murray and R. P. Weston. 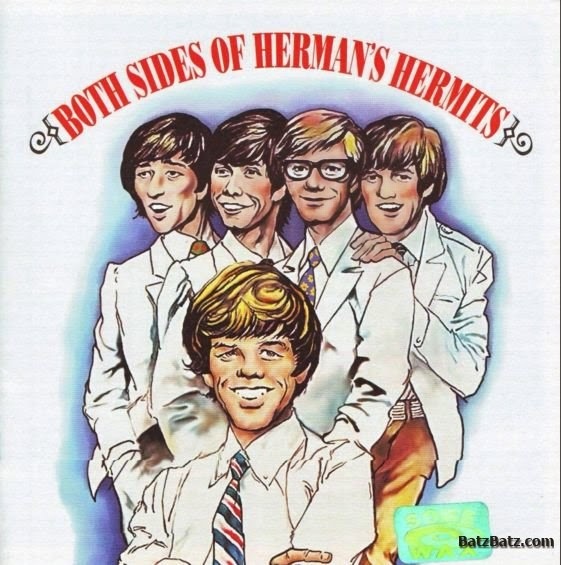 The Herman's Hermits album that really leaned on English Music Hall delights was the American version of Both Sides of Herman's Hermits. Here's one of my favorites, "My Old Dutch," written and sung by Albert Chevalier. I'm not certain of the recording date of this version, but he wrote it circa 1892. Here's another hit for the Hermits. "Leaning on the Lamp Post was sung in 1937 by George Formby in the film Feather Your Nest. And here's another from Both Sides of Herman's Hermits, "The Future Mrs. 'Awkins," also written by Albert Chevalier, circa 1898. This is a more recent version (1942) by British singer and actor Stanley Holloway.